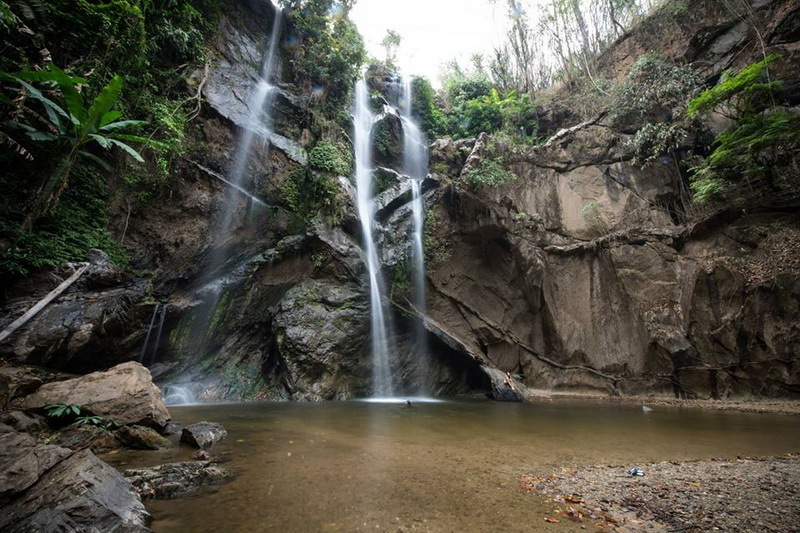 Mork Fa Waterfall is located in the area of Doi Suthep-Pui National Park. 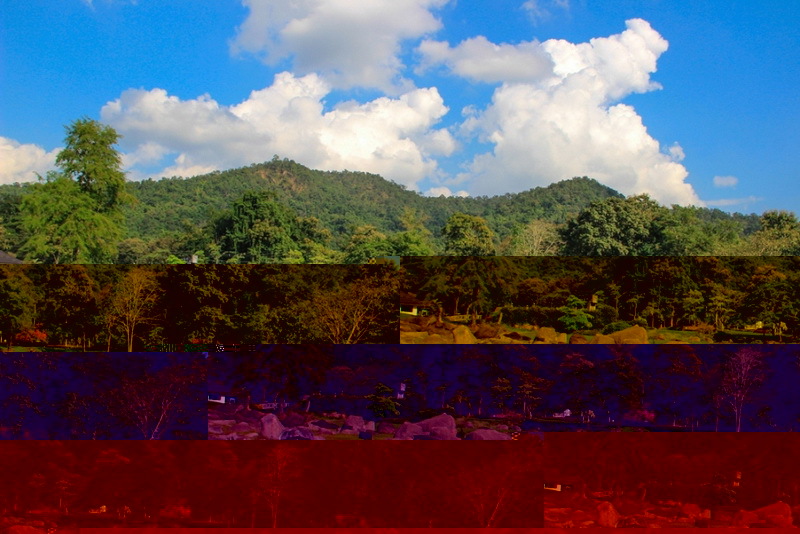 About 40 minutes from Chiang Mai. 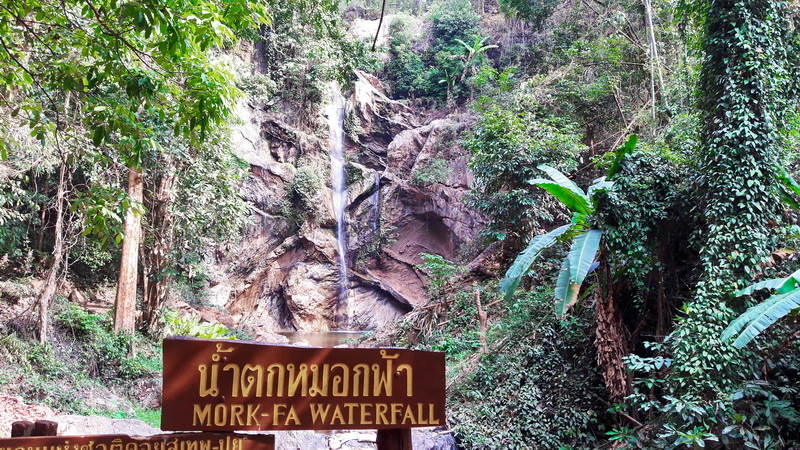 Mork Fa waterfall is surrounded with rush green trees and full of water all year around. 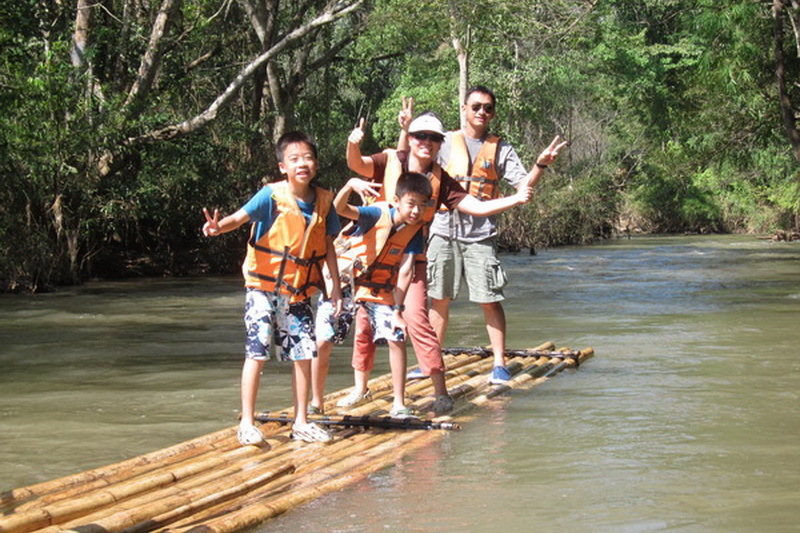 The delightful ambience of the waterfall makes it an ideal place for recreation. 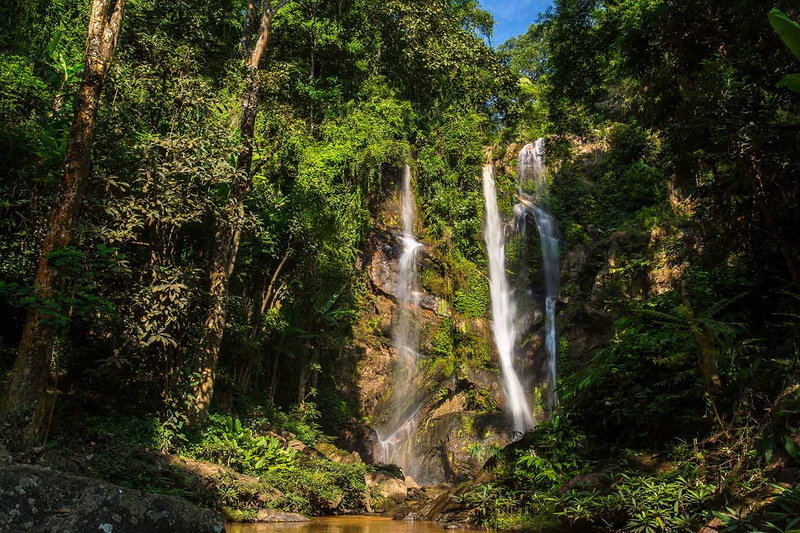 Mork Fa Waterfall is one of the beautiful waterfalls located in Doi Suthep-Pui National Park in Mueang district, Mae Rim district, and Mae Tang district in Chiang Mai Province. The national park is 163,162.5 rai or around 261 square kilometers. 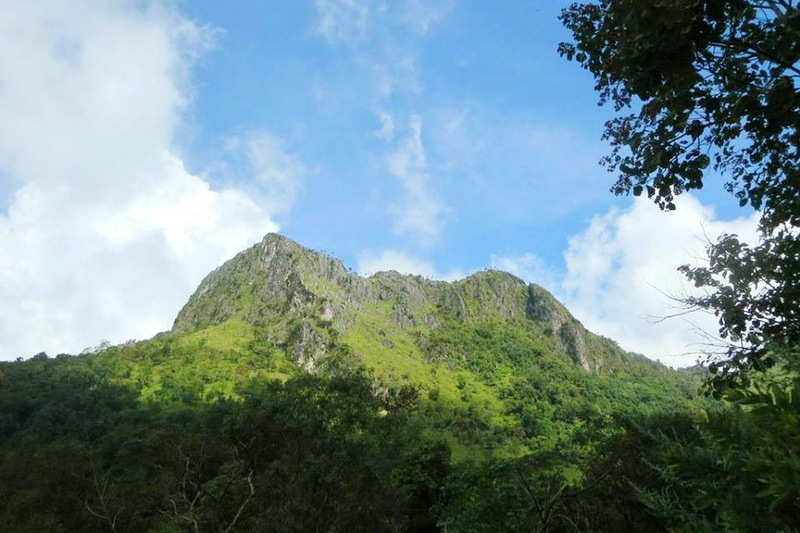 The highest point of it is at Doi Pui, which is on a height of 1,658 meters above sea level. Mokfa Waterfall is originated from the stream that runs from the thick wood and separates into two streams falling from the stone cliff. The area is full of large trees and plants like moss and fern and the moisture from the waterfall steam can also cool the air. The best time to visit this place is during the winter since the water is so clean and clear that the tourists can go swimming at the swamp below. In the morning, the sunlight shines and reflects the white stream, causing a color of the rainbow sparking brilliantly. Green moss and fern always stick at the cliff. In the winter and the autumn, the waterfall provides different wonderful atmosphere, while in the rainy season, it is no less beautiful than any other time. The water runs more intensely and hits the cliff and the swamp below more loudly. The steam splashes and spreads everywhere, making all over the places look glorious with the white fog which leads to the name of the waterfall. 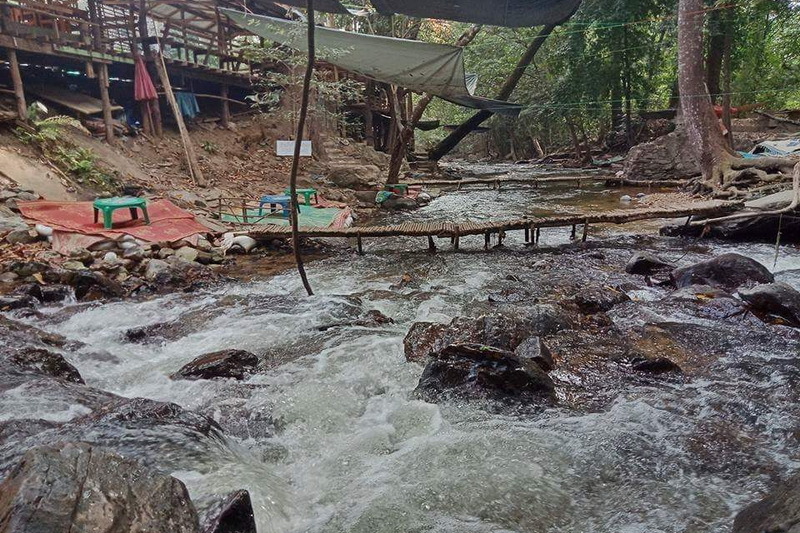 If the tourists want to spend a night at the waterfall, a campsite and four houses are offered for them but the tourists should reserve the places or contact Doi Suthep – Doi Pui National Park in advance. About an hour (45km) from Chiang Mai dive along highway no. 107. 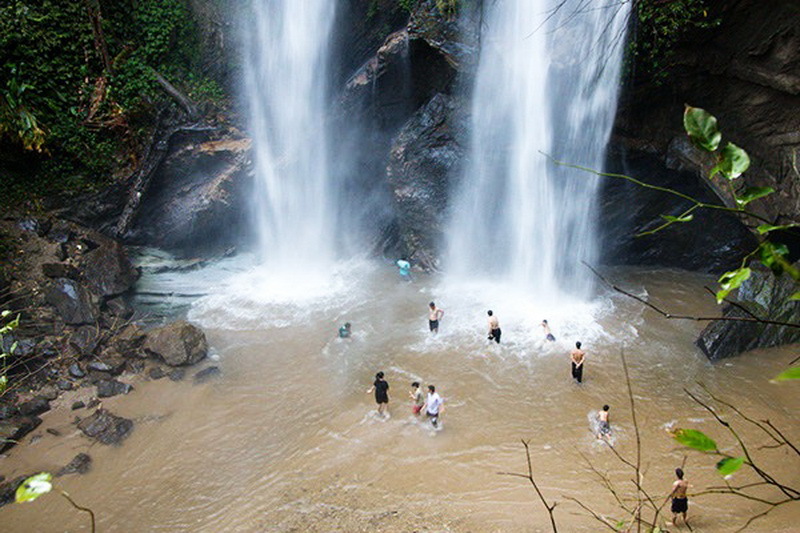 Mork Fa Waterfall is located on the Mae Malai-Pai road. Take a left turn at Km. 19 onto a dirt road for 2 kilometers. Admission is 200 THB, but this entrance fee get’s you in to all of National Park for that day. 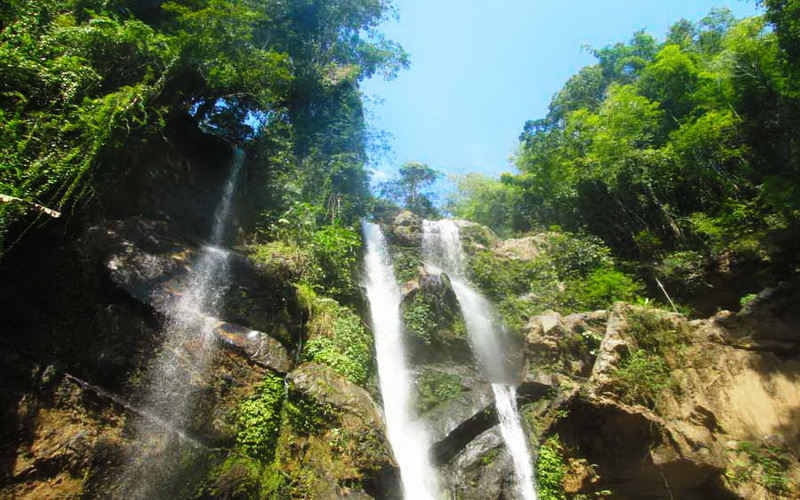 You can visit Mork Fa Waterfall between 08:00 a.m. – 05:00 p.m.